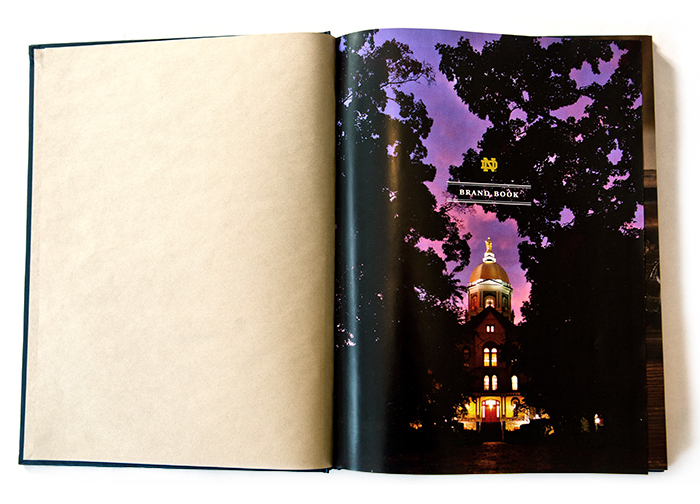 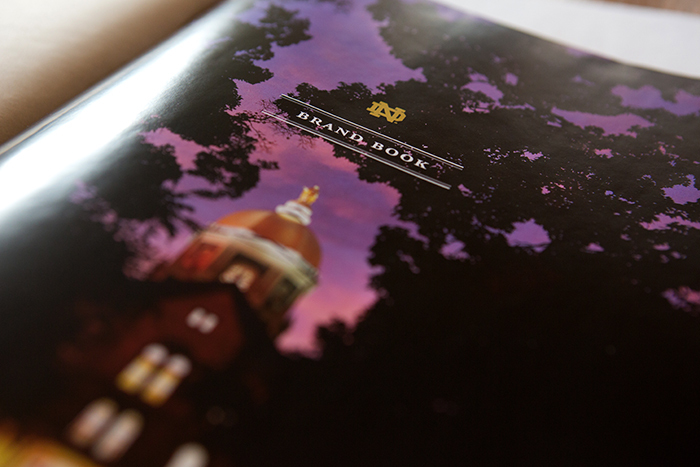 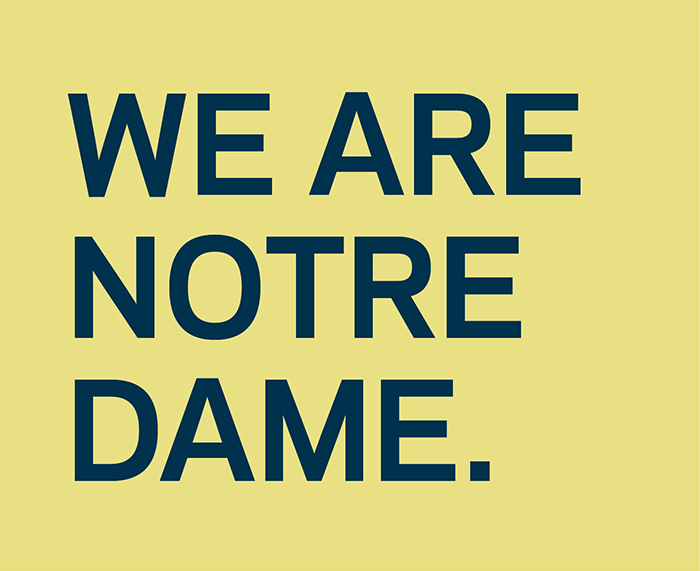 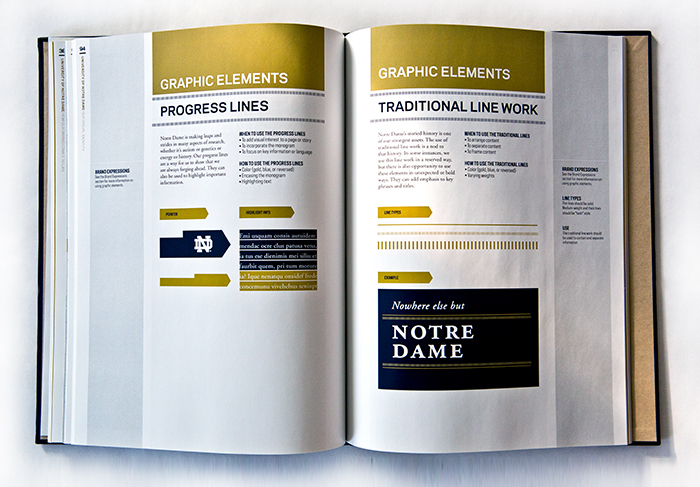 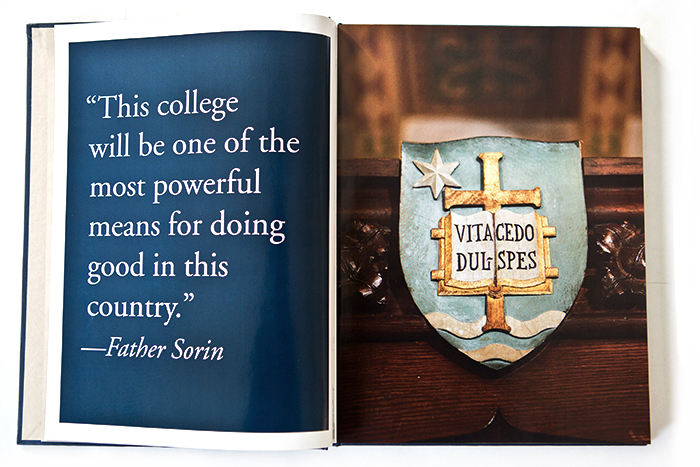 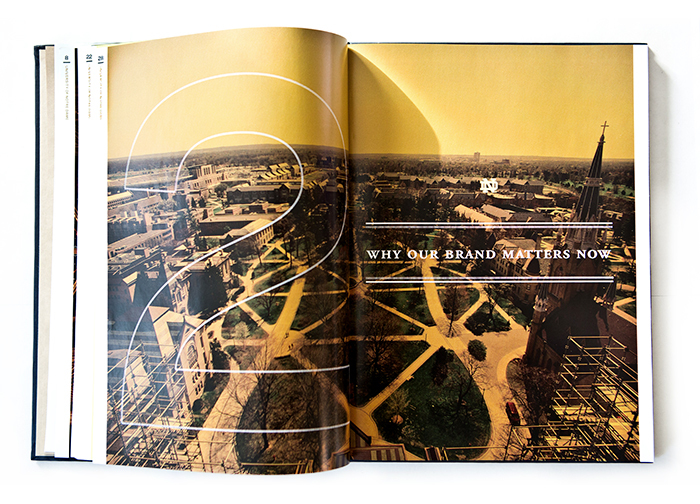 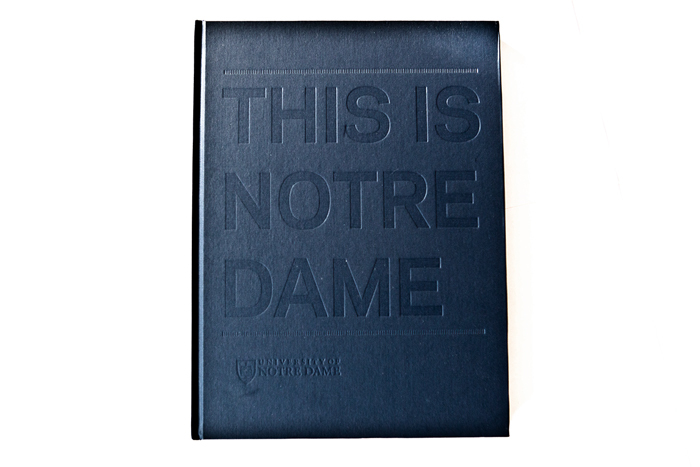 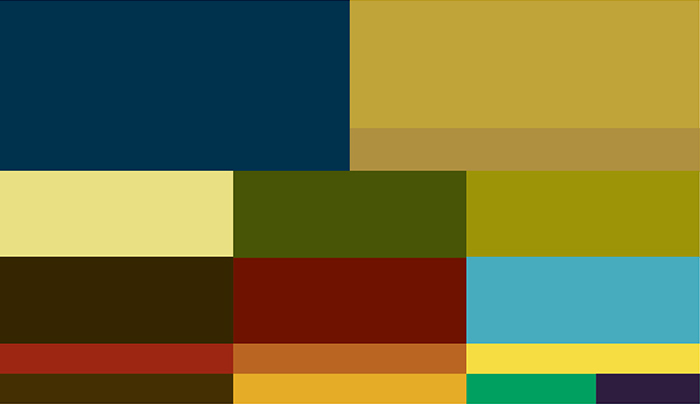 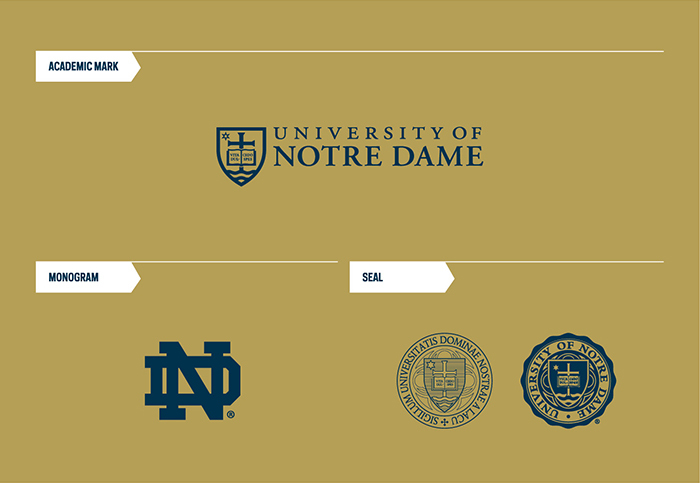 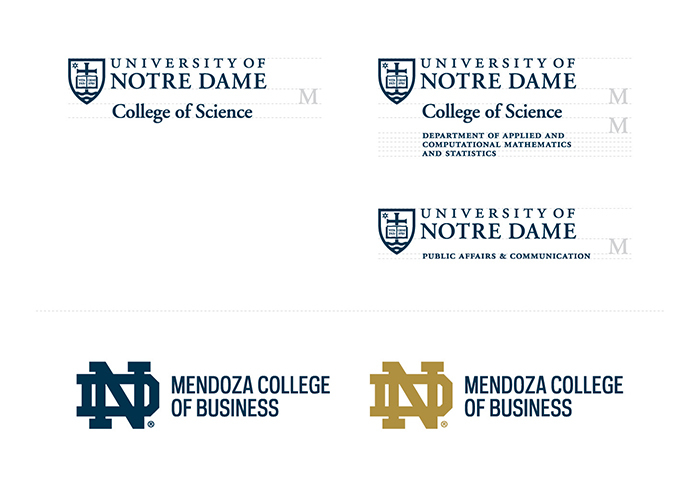 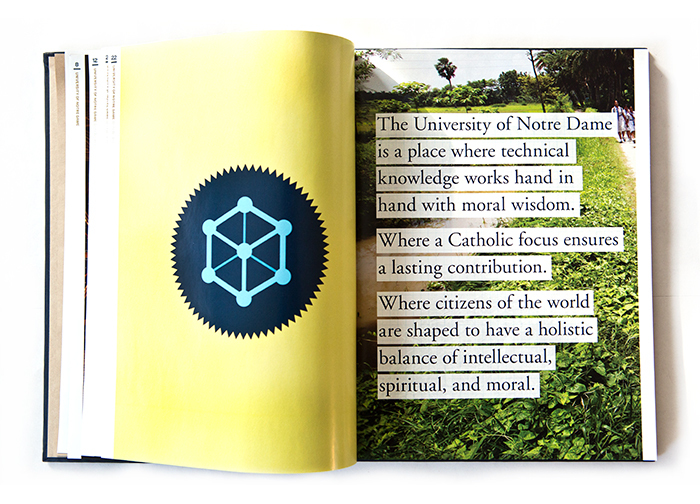 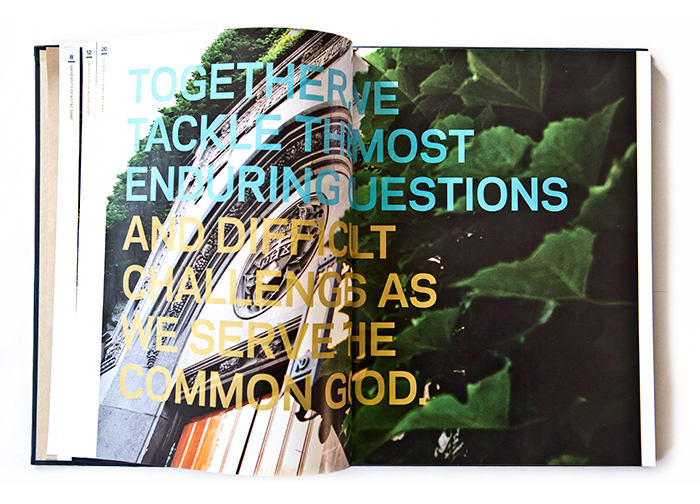 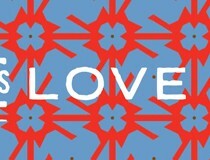 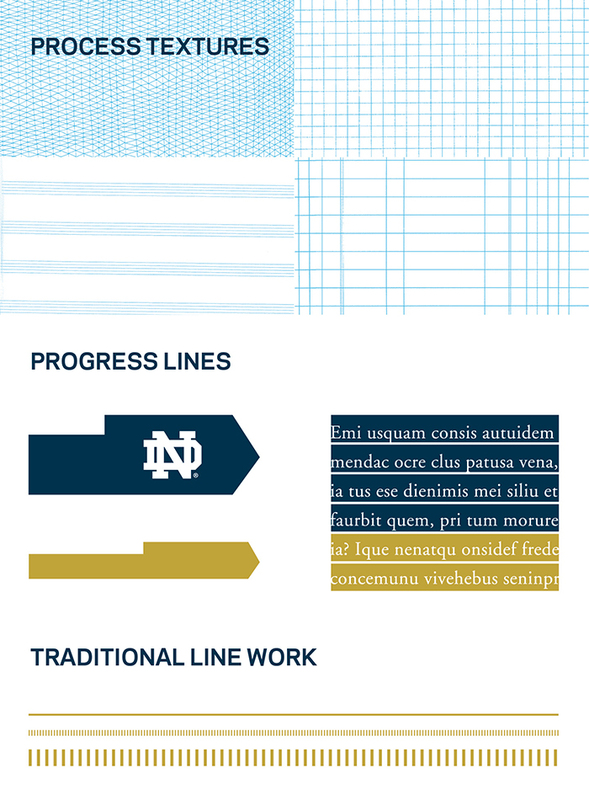 One of the first things I worked on during my time at Ologie was the repositioning of the University of Notre Dame. 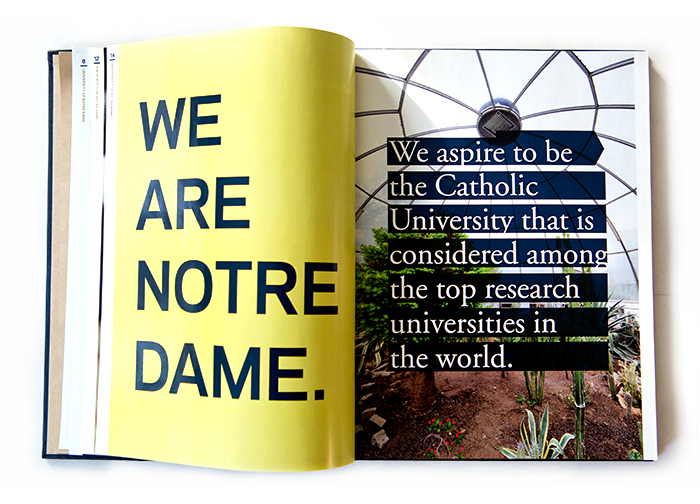 Notre Dame wanted to highlight the world changing research that happens at the university while retaining their Catholic heritage. 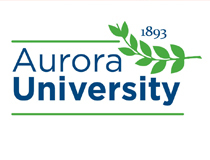 Essentially to be seen as one of the top research institutes in the world. 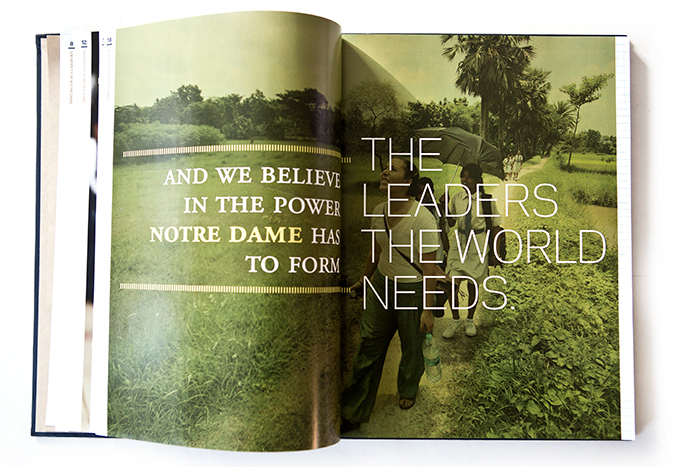 They have not only the institutional motivation to do globally relevant work that has real human impact, they have the moral imperative to do so. 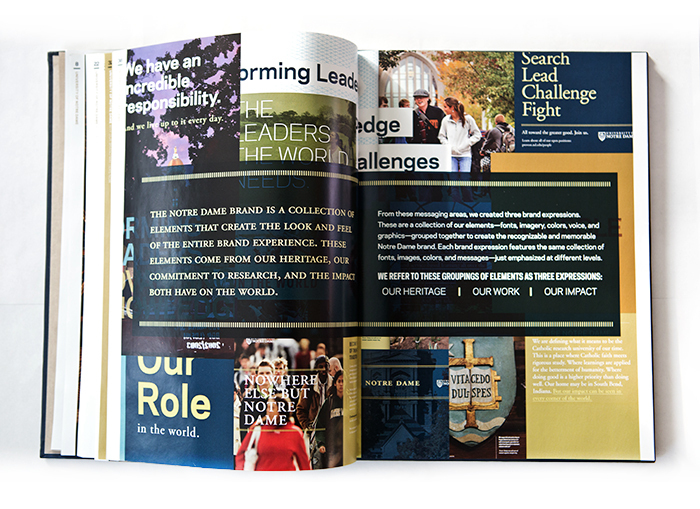 We worked with their team to reimagine the core messages of the university, update identity hierarchy, and create a deep visual/verbal brand language library that supported the updated brand platform. 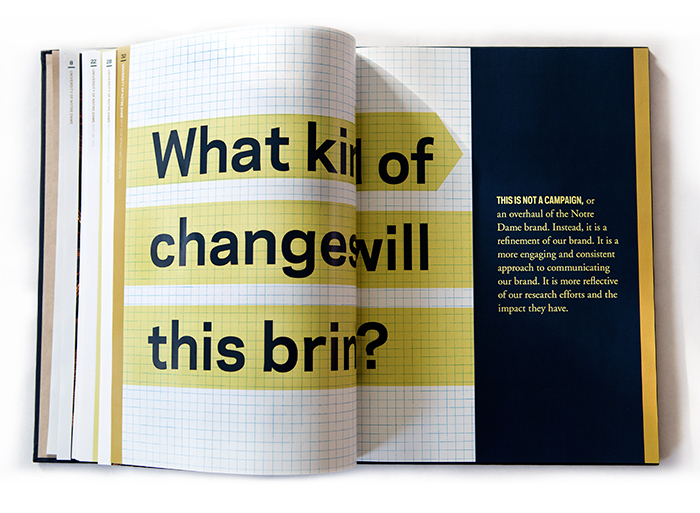 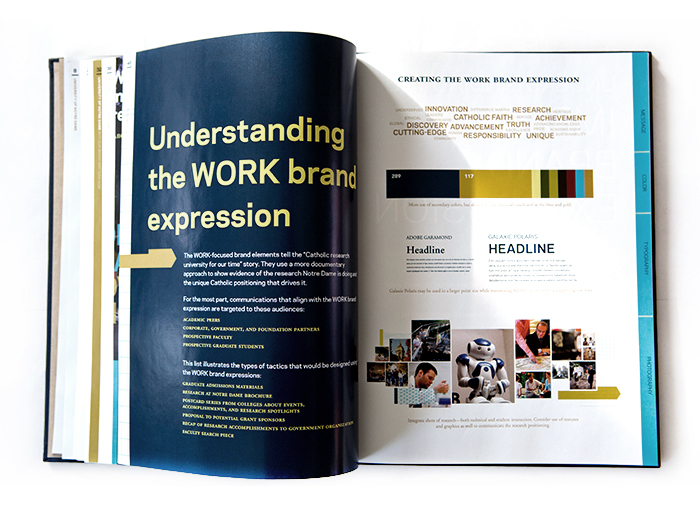 All of these efforts were encapsulated in a 100+ page hard bound brand book. 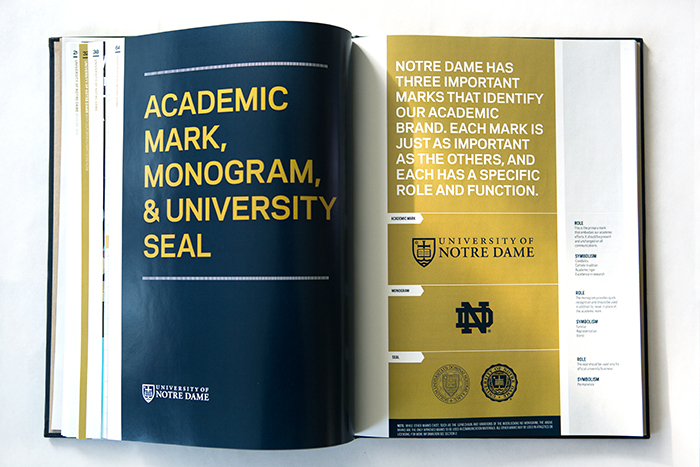 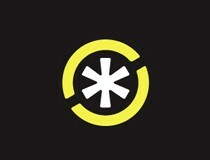 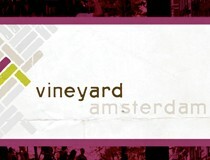 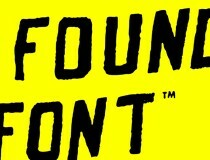 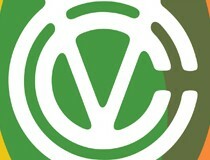 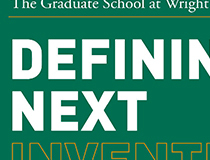 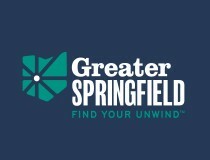 The brand continues to evolve and has been a great success for the university.